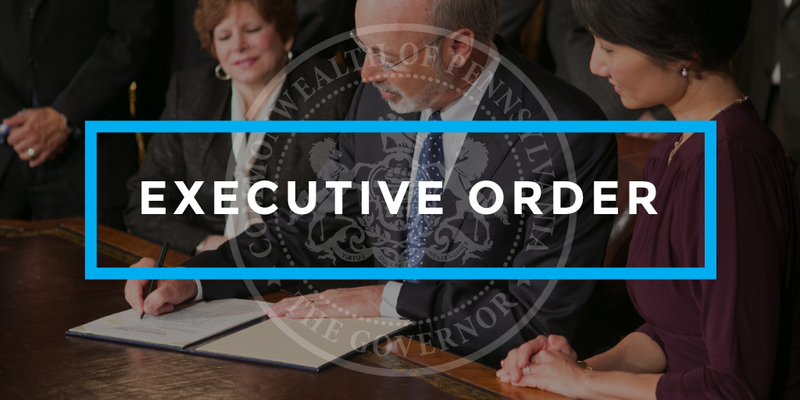 Governor Wolf signed an executive order forming a Perfluoroalkyl and Polyfluoroalkyl Substances (PFAS) Action Team. Governor Wolf signs executive order establishing the Governor’s Census 2020 Complete Count Commission to recommend methods and policies to facilitate the most complete and accurate census count in the year 2020. 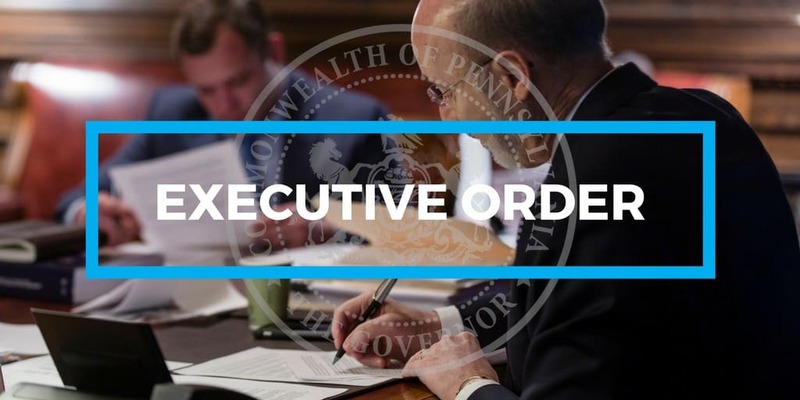 Governor Wolf signs executive order establishing the Pennsylvania Commission on LGBTQ Affairs, the only one in the nation. Governor Wolf signed an executive order to launch the next phase of PAsmart, a first-of-its-kind $30 million investment in workforce development. Governor Tom Wolf signed an executive order increasing the minimum wage for employees of the commonwealth and of organizations receiving state contracts.